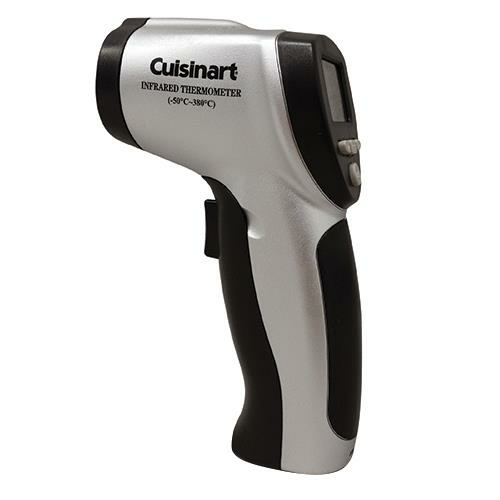 Cuisinart Infrared Surface Thermometer measures the temperature of any cooking surface instantly and accurately. One no longer has to play the guessing game with thermometers that strictly read air temperatures. It allows user to find any hot spots on the grill and plan accordingly. This non-contact thermometer will allow user to stand back and measure the temperature of the pizza stone or grill surface up to 716 degree Fahrenheit.